Check out the Iron Horses and support The Cluster of Religious Communities! After you’ve seen the bikes, “buy local” and grab a bite to eat at a downtown eatery. See our Dining Guide here! Enjoy the afternoon and early evening in historic downtown Pottstown! When I moved back last fall, I had no idea of the flea market culture around Pottstown. Before I knew it, my mom was asking me what I was doing on Saturdays and we were off bargain-hunting. I have some real treasures from those expeditions, and now that spring is here, it’s time to get out and continue the hunt! Montgomery County Community College Radiography students will be hosting a Colossal Flea Market fundraiser on Sunday, April 29, from 9 a.m.-3 p.m. in the parking lot at 140 College Drive, Pottstown, near the Riverfront Academic and Heritage Center (the former PECO building). The community is invited to participate and attend. Anyone interested in reserving a spot, should contact the Student Leadership and Involvement Office at 610-718-1805. The cost is $30 for two parking spaces. The rain date is May 6. The Radiography Club will use the proceeds to help pay for the costs of attending an annual radiography conference. Radiography is a 70-credit, Associate in Applied Science degree program offered at Montgomery County Community College. Radiologic technologists perform diagnostic imaging procedures including x-ray, CT scan, MRI, and mammography to assist in the diagnosis of illness. For more information about the College’s Radiography program, visit www.mc3.edu/academics. Editor’s note: This came to us via Andrew Meade, the Minister of Music at Emmanuel Lutheran. Thanks, Andrew, for all you do to bring exceptional musical talent to Pottstown! Founded in 2004, Westminster Kantorei is an auditioned chamber choir from the renowned Westminster Choir College specializing in early and contemporary music. The ensemble, which is composed of approximately 24 graduate and undergraduate students, performs regularly with some of America’s leading specialists in Baroque music, including collaborations with violinist Nancy Wilson and vocal ensemble Fuma Sacra. Recent seasons have included performances of Bach’s Missa brevis in G Minor, cantatas, and passions, including the St. Matthew Passion at Avery Fisher Hall, with the Westminster Choir and the New York Philharmonic, conducted by Kurt Masur. The ensemble has also performed works by Monteverdi (Vespers of 1610, Sestina and Lamento della Ninfa), Buxtehude (Membra Jesu nostri), Schütz, Schein, Telemann, Zelenka, Victoria, and Palestrina, as well as a concert of Latin American Baroque music. Westminster Kantorei has also commissioned and premiered many works by such composers as Caleb Burhans, James Blachly, Doug Helvering, Philip Rice, Nathan Jones and Stefan Young. This year, the ensemble premieres new works by Blake Henson, Daniel Elder, and the internationally acclaimed Swedish composer Sven-David Sandström, commissioned for the ensemble by the Soli Deo Gloria Foundation and the Westminster Choir College Department of Sacred Music. The concert program will include: “Musikalische exequien” by Heinrich Schutz, “The Glory and the Dream” by Richard Rodney Bennett, and “Psalm 67” by Sven-David Sandström. The stunningly beautiful funeral music of Schutz’s Musikalische exequien is considered one of the masterpieces of the early Baroque period. William Wordsworth’s poetic masterpiece “Intimations of Immortality” provides the text for Bennett’s The Glory and the Dream, who, in addition to a 50-year career performing and writing jazz, has composed many classic film scores. Sandström’s Psalm 67 is a newly-commissioned work that received its world premier by this ensemble in October of 2011. Our special guests for this concert will be the select choir from Daniel Boone High School in Birdsboro, PA. Led by their conductor, Erin Benn, this outstanding high school ensemble will open the concert with performances of “I’ve Got the Music in Me” arranged by Deke Sharon and “With a Lily in Your Hand” by Eric Whitacre,. MUSIC AT EMMANUEL is dedicated to bringing the live music of the highest calibre to the Pottstown community. We are also dedicated to supporting young artists from our region as they develop their performing careers. All concerts on our 2011-12 season are offered free of charge to the public, and are funded by the generous support of individuals in our church and community who believe that great music has an essential place in our culture and community. For additional information about the concert series please visit the church’s website: www.emmanuelpottstown.org or find us on Facebook: http://www.facebook.com/music.at.emmanuel. The next Positively!Pottstown Happy Hour takes place TODAY at MOSAIC Community Land Trust’s office & gallery at 10 S. Hanover Street from 5-7 pm. Food by Grumpy’s! Pop art by James Enders and photography by Karl McWherter on display. 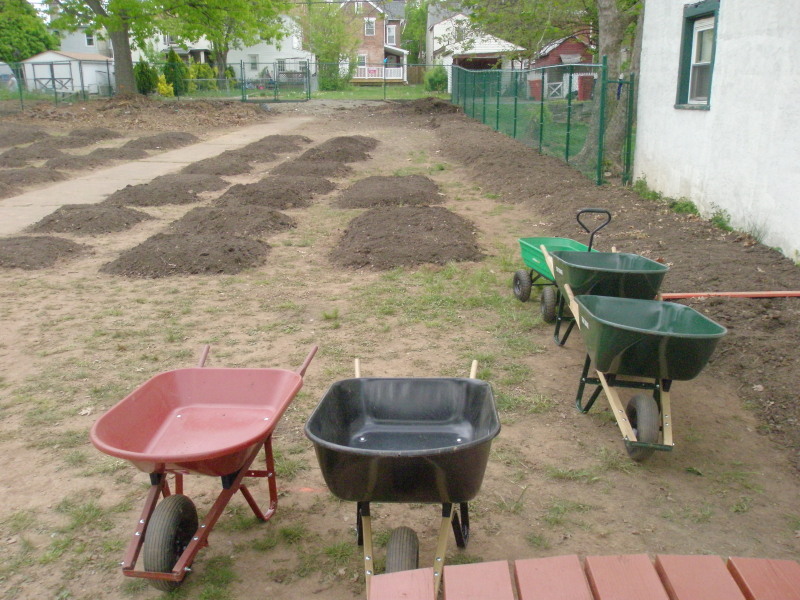 Learn about Mosaic’s community garden, now under construction at 423 Chestnut Street. 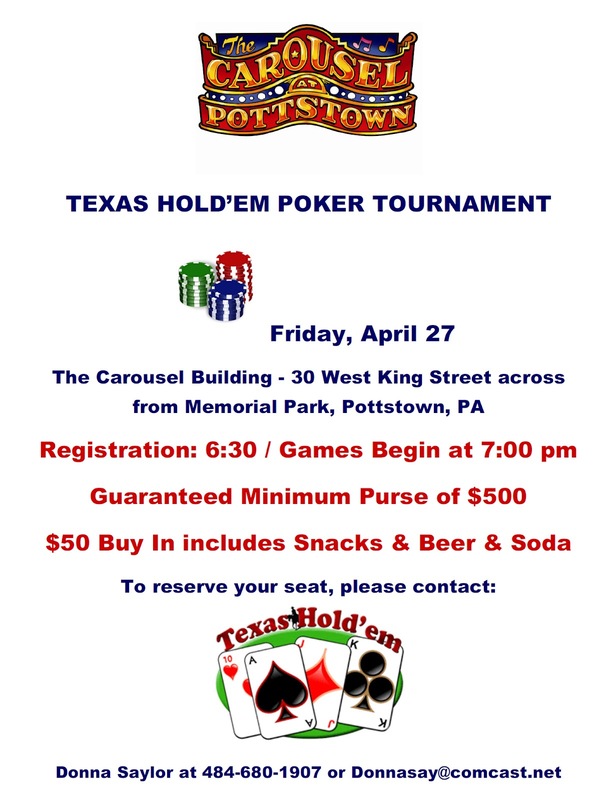 It’s not too late to RSVP to positivelypottstown@gmail.com. Ladies can follow up the happy hour fun at the monthly Girls’ Night Out held by Belle Rouge Salon at 257 E. High Street. The Belle Rouge Girls’ Night Out includes complimentary wine and hors d’oeuvres. Their speaker on Friday will be heart specialist Anna Cousins. She has worked in the cardiology and vascular field for the past 25 years and holds degrees in adult, pediatric, and neonatal cardiovascular technology. Currently Anna is working as a consultant to Dr. Rajiv Dhawan, M.D. as a vascular specialist. They diagnosis and treat all types of vascular disease. RSVP to Tracy Williams at 610.326.5400.